Ideal for prevention of falls in and around the home. The mat works well on all tiled, timber or lino surfaces. Features an anti-trip tapered border to ensure the mat lies flat and reduce risk of falls. Easily cleaned by sweeping or vacuuming, the mats are machine washable and can be tumble dried. 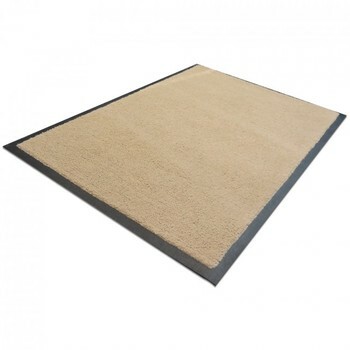 The Indoor Rubber Backed Mat is made from tufted nylon with a nitrile rubber backing. The solution-dyed nylon resists fading and bleaching, while the crush-resistant pile traps dirt better, and extends the performance life of the mat. The nitrile rubber backing is skid-resistant and resists oil and grease. Includes ultra grip cleats to minimise movement. Dove Grey, Beige, Brown, Heritage Red, Heritage Green, Navy Blue, Charcoal, Black.